Opti-2 Injector Oil - for use in all 2-cycle oil injector systems on all high performance engines including: snowmobiles, personal watercraft, outboard, motorcycles & ATV's. 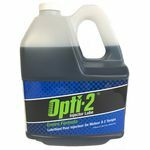 Opti-2 Injector Oil 34oz. Bottle for use in 2-cycle oil injector systems on all high performance engines. 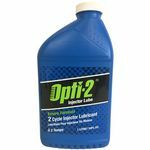 Opti-2 Injector Oil 1 gallon jug for use in all 2-cycle oil injector systems on all high performance engines. Opti-2 Injector Oil 5.3 gallon pail for use in all 2-cycle oil injector systems on all high performance engines.